Life is Strange 2's final three episode release dates have been announced, so here's when you can give them a try. The Life is Strange 2 saga is set to continue this summer, as Square Enix announced the release schedule for the remaining three episodes. The third episode of Life is Strange 2, titled Wastelands, is set to debut on May 9, according to a recent tweet by the publisher. Then, later on in the fall and winter, Episode 4 will debut on August 22 and Episode 5 will wrap the story up on December 3. It looks like there's still a ways to go to see what happens to the Diaz brothers at the end of the road, but luckily that also means we'll get to spend more time with them, just stretched out over a few months. Life is Strange 2 opted to turn away from established characters like Max and Chloe and instead introduced the Diaz brothers, who are affected by a life-changing event that forces them to flee from their homes. It's a harrowing story with plenty of hard decisions to make every step of the way, with what we can only surmise will be an emotional climax when the story comes to a close. 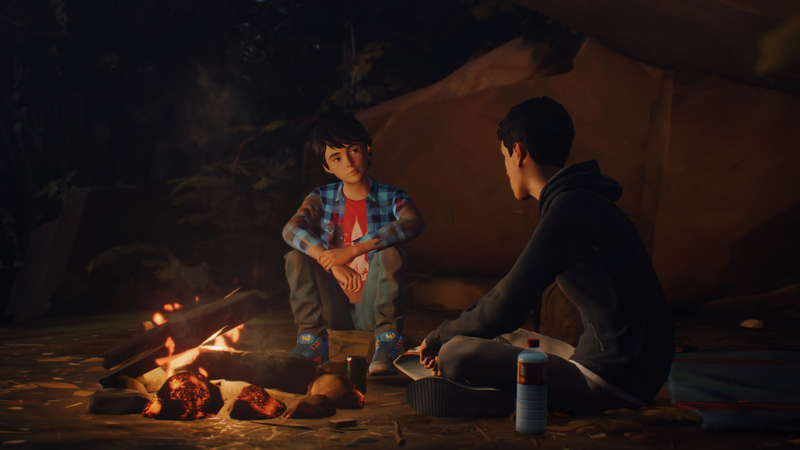 Previously, our own Ozzie Mejia reviewed the first and second episodes of Life is Strange 2, and he came away with a slightly lukewarm reception. "The Life is Strange 2 narrative still hasn't quite won me over," he wrote. "While I've cooled off on certain plot points, with the story capably explaining why the two kids can't simply stay with family to try and fight what's happening, there's still something about the ultimate goal that feels unsettling. And it's something that to me, as someone of Mexican descent, still feels like it has a slightly racist undertone to it. However, as a tale of two brothers, Life is Strange 2 is faring well, with Rules acting as a strong chapter in Sean and Daniel's journey." If you're interested in seeing how the story is going to play out over its final three episodes, you won't have much longer to wait to jump on Episode 3 in May.